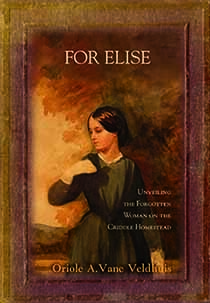 For Elise, Unveiling the Forgotten Woman on the Criddle Homestead, is available in three digital formats. Produced by the printers, Friesens kept the pictures, documents and story as the book. The advantage is in being able to enlarge the print as desired, use search features and footnotes. Comment from Brenda, a recent purchaser.